Ed. 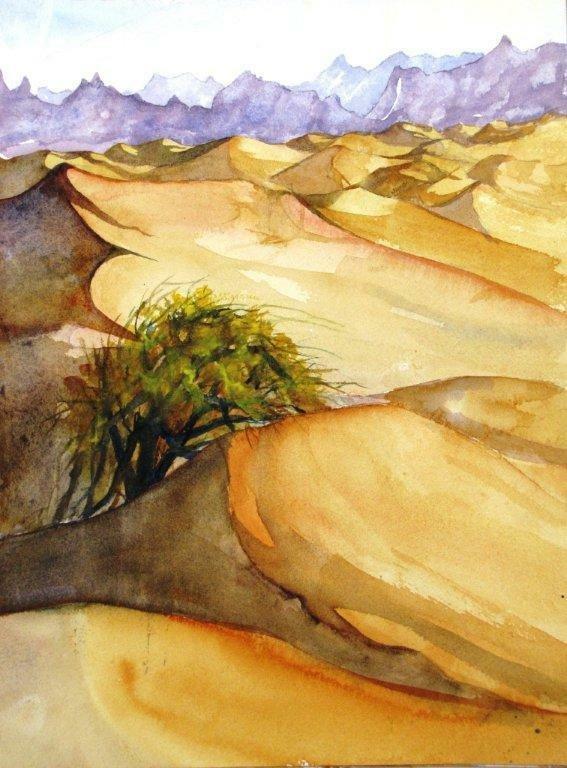 note: Jim Trolinger’s new book Painting in Death Valley is a must for desert artists and their fans. See ordering info at the end of the article. 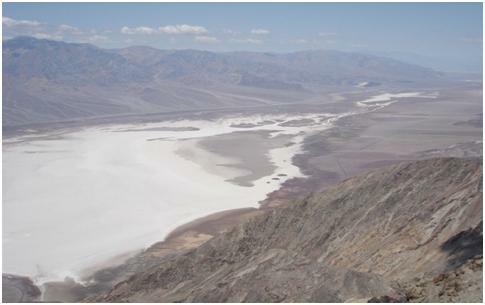 After 40 years of visiting and painting Death Valley I still enjoy returning to this magnificent place. Boasting over three million acres and 130 miles long, it is the largest National Park in the contiguous USA. Amazingly, in all those visits I have never encountered other artists. 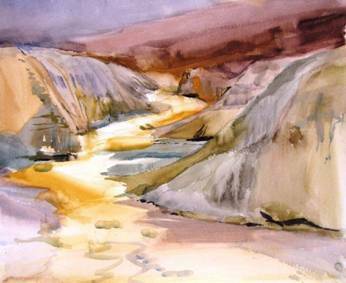 A Google search for Death Valley artists turns up a meager two or three, even though the park service offers an artist-in-residence program. 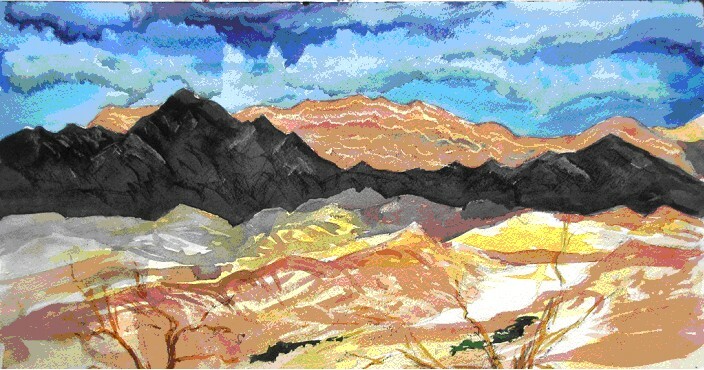 The Fall 2011 issue of American Artist magazine calls Death Valley the national park least discovered by artists. 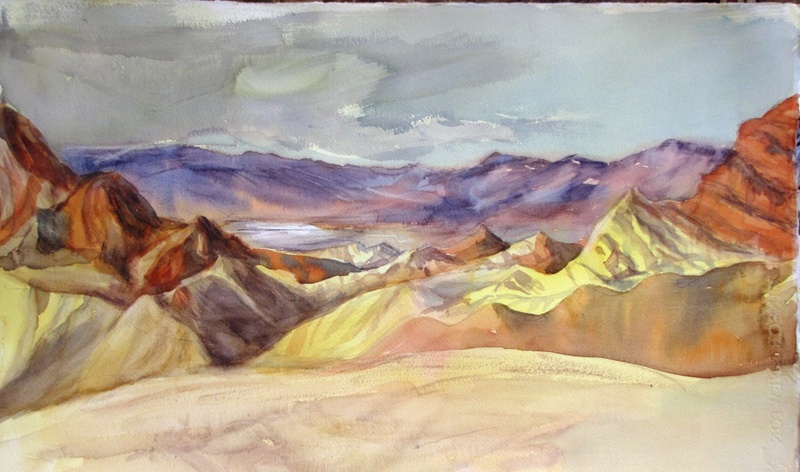 In March, 2012, I shared Death Valley with 8 of my artist friends during a four-day paint out to see if they would develop the same passions as mine. 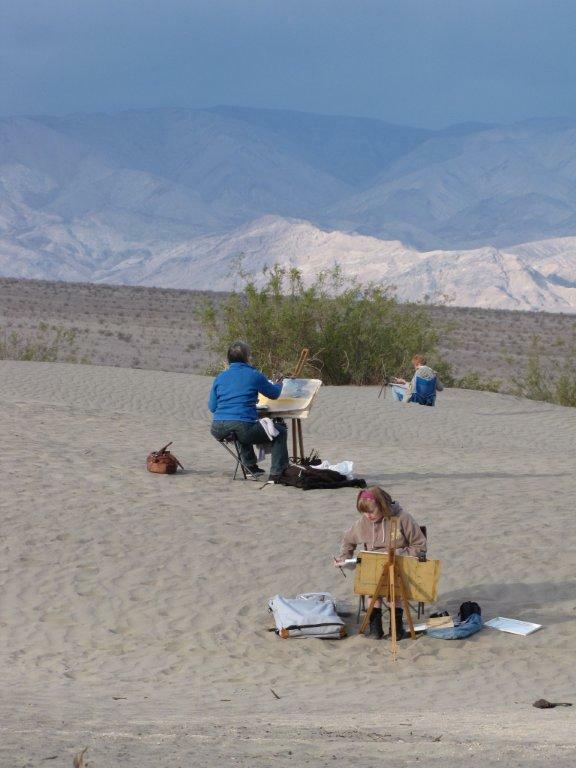 To my amazement, only one of these widely traveled adventurers had seen Death Valley, and none of them had thought of it as a good choice for plein air painting. They absolutely loved it, and now I am working on a plan for a return in February, 2013. 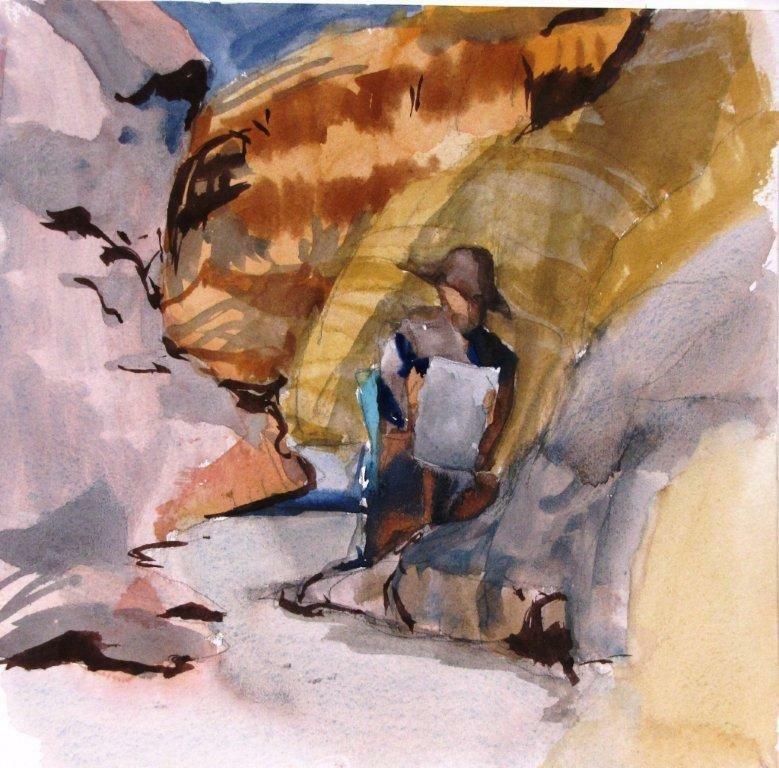 By the end of the paint-out, I realized that the planning, the experiences, and the paintings we created could serve as both an inspiration and a guide for other plein air painters, who, for whatever reason, have never painted in Death Valley. 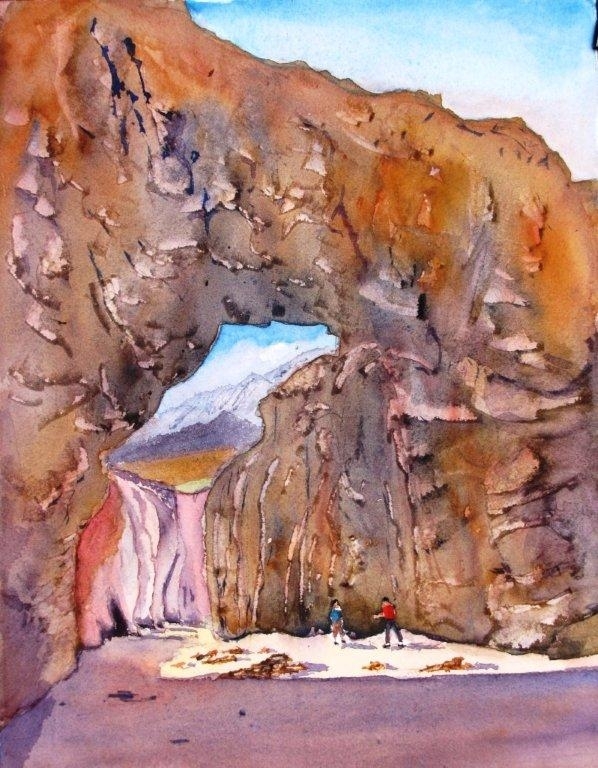 So I published “Painting in Death Valley”, a 50 page book, which suggests methods, venues, and subjects, includes 30 paintings created by eight artists, and photographs of some of the best locations. 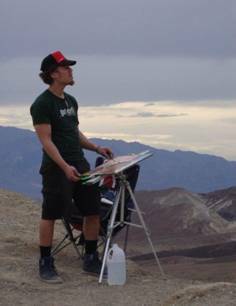 The objective was to provide inspiration, guidance, ideas, tips, and information to help other artists quickly find their own approach to painting Death Valley. There are three hotels in Death Valley, one at Stovepipe Wells and two at Furnace Creek, with camp grounds available at both places. Furnace Creek Ranch, where we stayed, is set in an oasis surrounded by a date palm forest. It has great services, a wonderful outdoor museum, is close to the visitor’s center, and itself offers many painting subjects. They even offer a senior discount, which will save you enough money to pay for your food at one of their great restaurants. Great painting venues include ghost towns, canyons, sand dunes, outdoor museums, abandoned mines, and vast, colorful mountain ranges. These scenes exhibit foregrounds, middle grounds, and backgrounds containing interesting shapes, contrasts of hue and value, atmospheric perspective, horizontals and orthogonals, and places for a focus, all of which artists can choose to enhance, minimize or abstract. If you like people in your paintings, capture the occasional tourist in your field of view. What more could a plein air painter ask for? 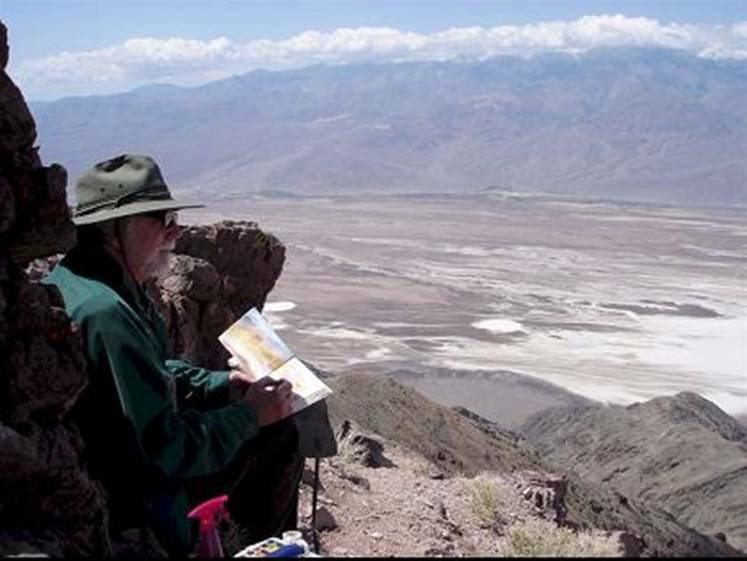 A wealth of information on these and other Death Valley sites is available at various websites given below, and the book includes photos, details, and paintings of some of the best, including the best times of day, where to find shade, and even where to find toilets. Sundown favors many good venues, but my favorite is Artist Palette half way along the 7 mile one way Artist Drive that leaves the valley floor. Different minerals in the soil make the landscape appear like an artist palette with reds, purples, greens, and yellows. We set up easels about an hour and a half before sunset, with some artists facing towards and some away from the palette itself. Artist Palette an hour before sundown. In the absence of clouds, the sun is so bright that the colors appear subtle, almost bleached on one’s retina. As the sun begins its descent behind the mountains on the west side of the valley, a shadow moves slowly up the field of view (visible in the figure). As the shadow covers more and more of the field of view, eyes gain sensitivity to color, and rich colors begin to develop in the shadowed foreground. Suddenly, colors that were very subtle explode, and the lighting becomes more dynamic and dramatic. Finally, when all but the last peak is in shadow, that peak becomes an intense gold cone behind saturated colors in the foreground. One’s brain oscillates between the desire to stare in awe and ecstasy and the desire to paint. Costa Mesa artist Jesse Fortune created a large acrylic painting on a wood panel on an easel specially designed for the paint-out. His paintings were done mostly with a palette knife and sometimes applied directly from the tube to the board. Jesse created quite an attraction for gawkers who enjoyed watching him dance around his painting as he worked. 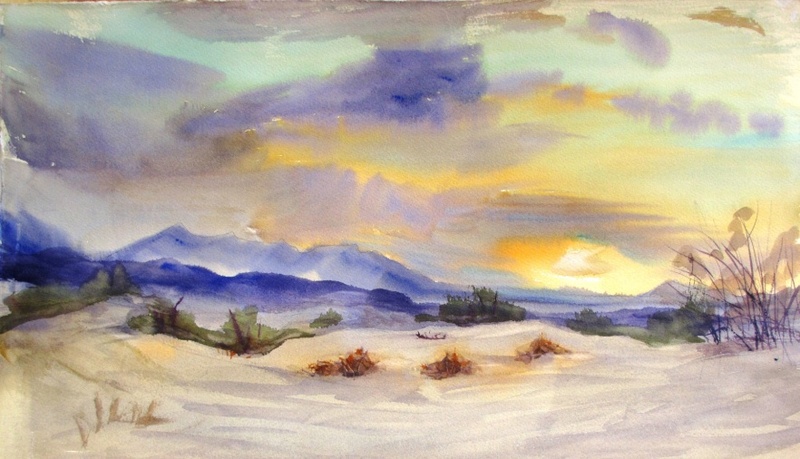 Jesse sold all six paintings he created in Death Valley within a few weeks after the paint-out. An artist does not even have to leave the ranch to find delightful painting scenes. Some artists began the morning by walking through the outdoor Borax Museum with a sketchpad and sketching stage coaches from a previous era. This is also a good place to paint in the middle of the day. Artist Susan Ballou couldn’t resist painting in the outdoor Borax Museum. I sat in the front of the Ranch and painted the colorful mountains to the east. 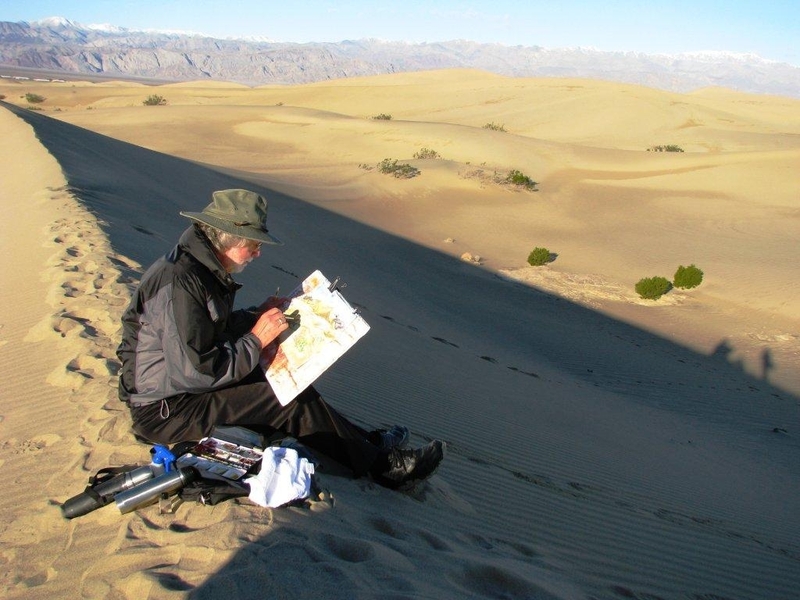 The sand dunes offer a prime venue for plein air painting, and the best time is early morning, like really early, when the air is cool, and the sand is still virgin, clean swept by the night winds, and covered with critter tracks from night activities. An eerie morning calm greeted us at Mesquite Sand Dunes, where quiet, still, and beautiful surroundings had just light enough to make walking easy. A magnificent display of colorful clouds lit the sky over the east mountains. We couldn’t have asked for a better morning. As painters searched out a good spot, I could hear excited voices on all sides, amazed at the sky, the emerging mountain ranges, the sand dunes themselves. Within a few minutes easels went up in front of a variety of scenes, ready for the sun, which now was peeking over the mountains to the east and casting long shadows everywhere. The far distant mountains produced the perfect background with remarkable atmospheric perspective to add to the challenge. Looking north from Dante’s View on a typical day. 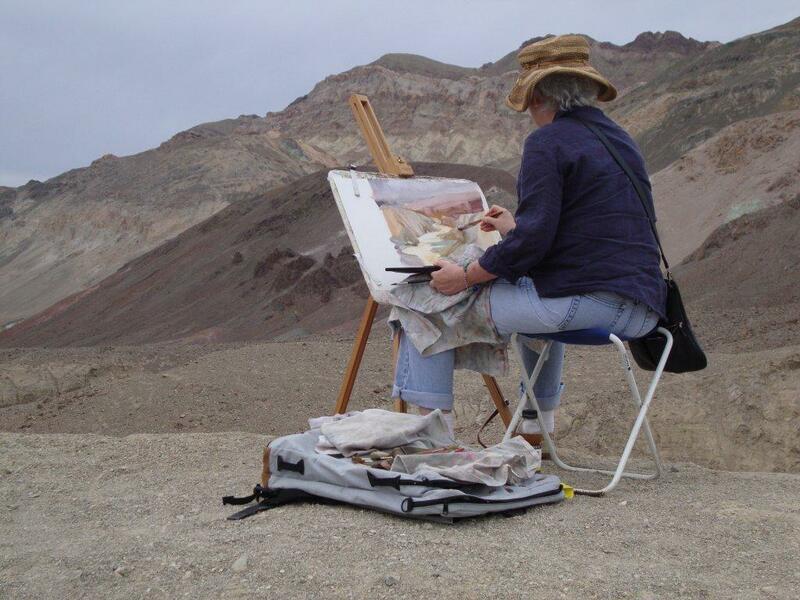 No photo will ever capture this view; here you discover the epitome of what plein air painting is all about. Sitting amongst the rocks as a wind shield, looking out across the valley, with a gentle and usually cold breeze, birds soaring beneath, provides the very quiet, perfect place to meditate and paint. The snowcapped Telescope Peak rises above a parched valley, and a hundred miles to the north mountains fade into a clear blue sky. The white salt rivers below wind amongst every color in the rainbow. A painting done here contains a kind of excitement that is not possible in any photograph or painting taken from a photograph. You just have to be here. I am never ready to leave this spot, and I only leave after promising myself that I will return some day. Not every day is a painting day at Dante’s view since it can be severely cold with high winds. An artist can paint this view from a comfortable rock sheltered position, shielded from cold winds and bright sun. Notice also the foreground, middle ground and background from which to choose. Because of the available panorama, good lighting exists all day in some direction. Notice the range of shapes, shadows, and colors, which are constantly changing with time. Few tourists make the effort to climb to the peak, which is accessible by a good path. Be prepared with a warm jacket and a thermos of hot coffee, even when temperatures soar in the valley. 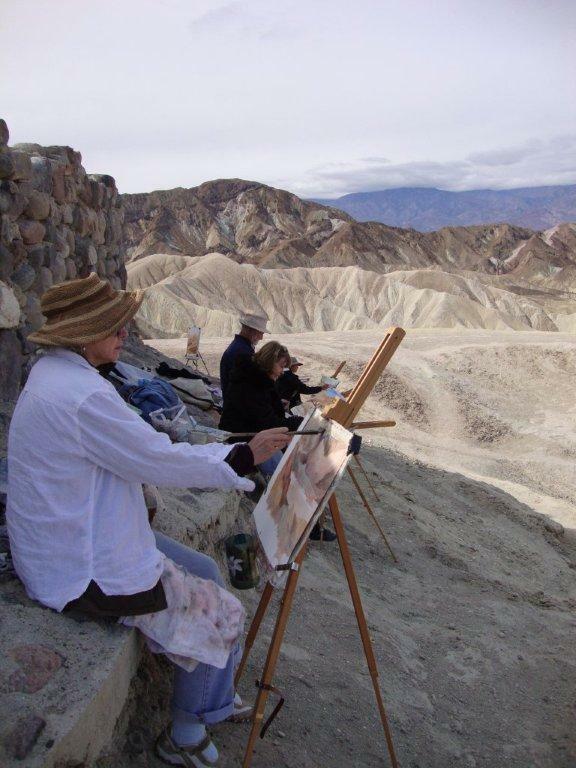 Zabriskie Point is as close to perfect as a plein air painter could ask for. Artists at work at Zabriskie Point shielded by the viewing platform wall. 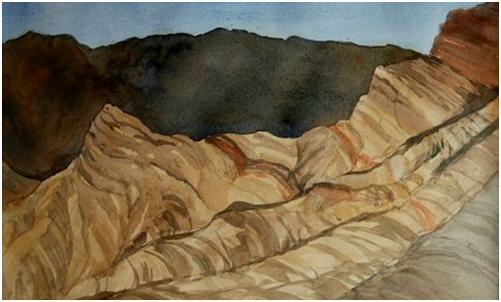 Painting in the canyons presents one of the greatest challenges to simplify. The typical wall comprises a cornucopia of colors shapes, and details that are likely to be interesting only to the painter himself. The challenge is to design an artistic composition using the subject for inspiration without being a slave to it. These scenes are subjects to inspire abstract art. This is definitely a place to practice simplification. A skilled artist can figure out what to leave out, not what to put in. Natural Bridge by Jim Trolinger. A beautiful view of distant mountains is framed in the window formed by the arch and the canyon. The dynamic range of a conventional camera is not sufficiently wide to record what can be seen and painted by an artist. Notice a few cooperative tourists. We had critiques at the end of each day during which artists discussed challenges and inspirations, sharing both problems and ideas, learning from each other. Suggestions proved extremely valuable, and in a few cases, paintings that appeared as “nice” tuned into dynamite with just minor adjustments. Artist critiques in the Hotel Room. As we prepared to make the five hour drive home, I reflected on the previous four days of art and felt that I had done something worthwhile. 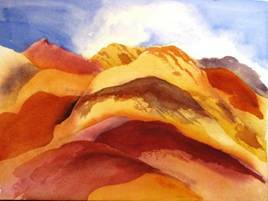 I had observed that each of the artists had developed a passion for painting Death Valley that rivaled my own. Every single artist was expressing his desire to return to Death Valley next year, especially if we came as a group. That, alone, made the trip worthwhile for me. 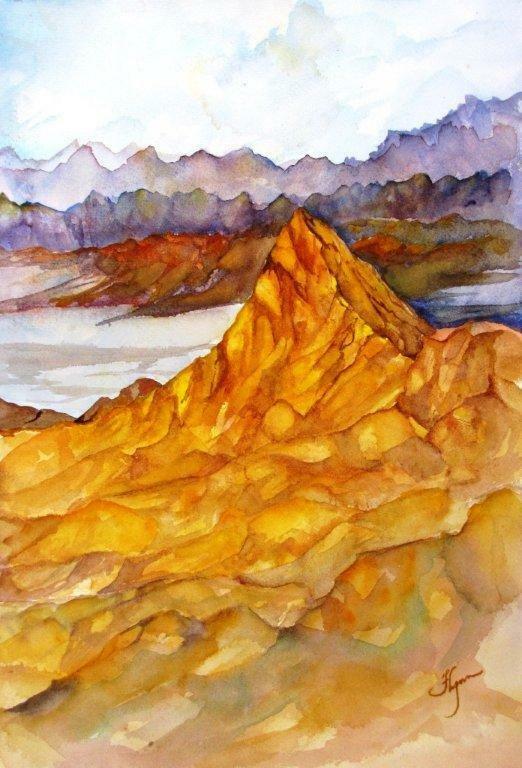 You can receive a free preview or purchase a copy of the book Painting in Death Valley by sending a request to the author using the email provided above. 50 pages, 8.5”x11”, 37 photographs, 30 paintings – $25 plus $5 shipping. I love the desert. Thank you. 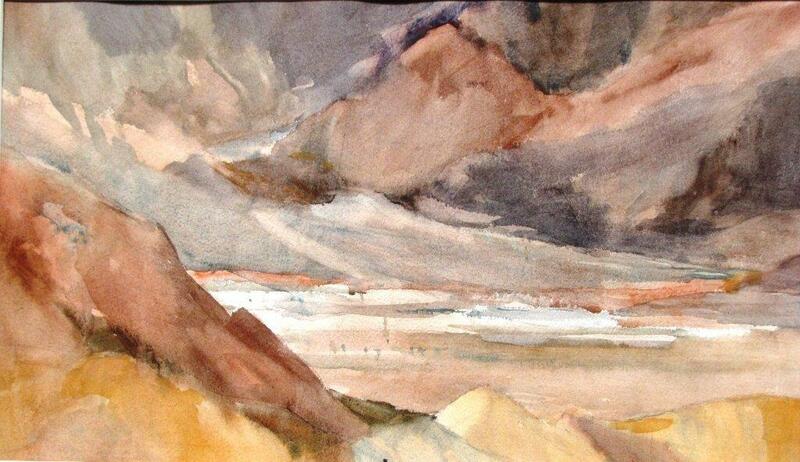 This was a great article on painting in Death Valley. Reading it, made me want to pack up my car and paints and join the party. You’re terrific! You paint, you write, you publish! Lynne, I looked at your paintings. They are gorgeous. 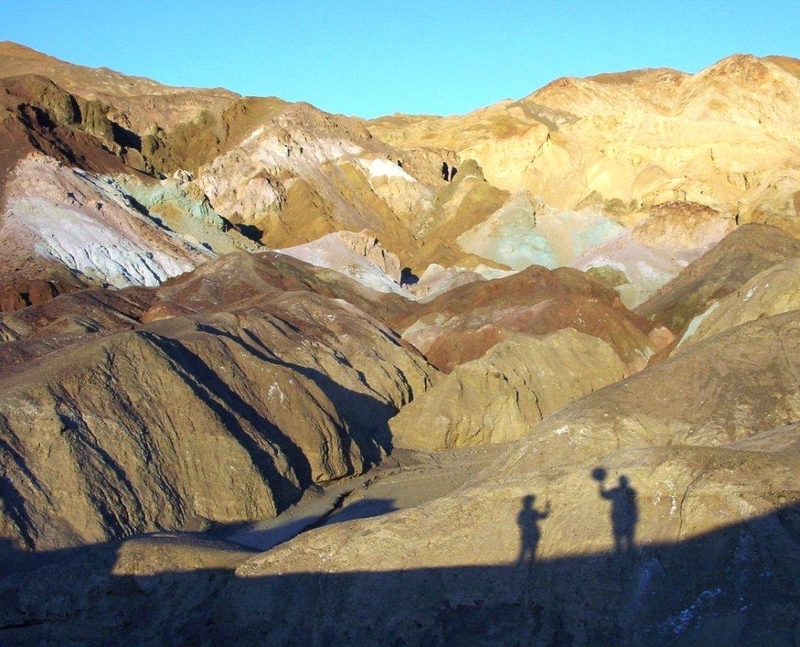 We are planning to return to Death Valley in March and would love to have you join us. I will send you more details. Great article, Ann and fantastic images. Really inspiring! Looks like a great trip! 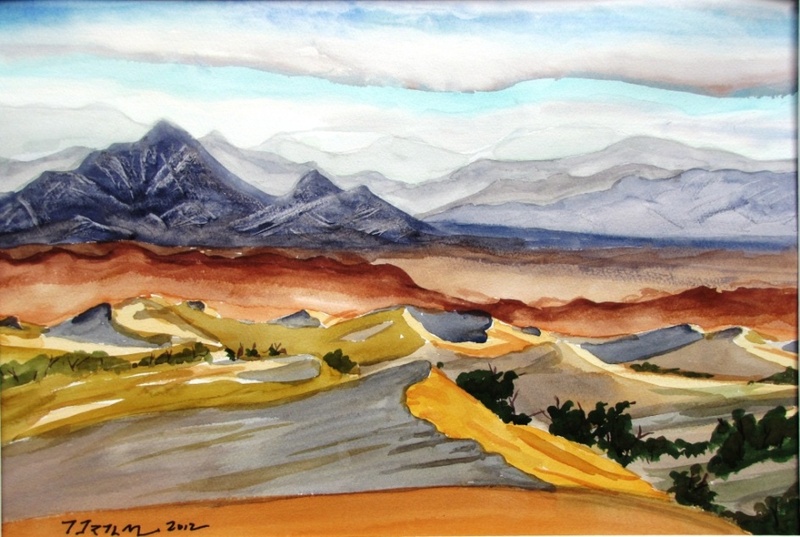 Death Valley is on my list of places to paint, maybe this year. Lots of lovely pictures. Thanks for sharing with me, Susan Ballous’ sister. I enjoyed reading this. The artists were successful in capturing the mood and scenery. Lovely. Jim, Wow! I just stumbled across this on the internet (trying to find out more about the new Borrego Art Institute) and how timely for me! 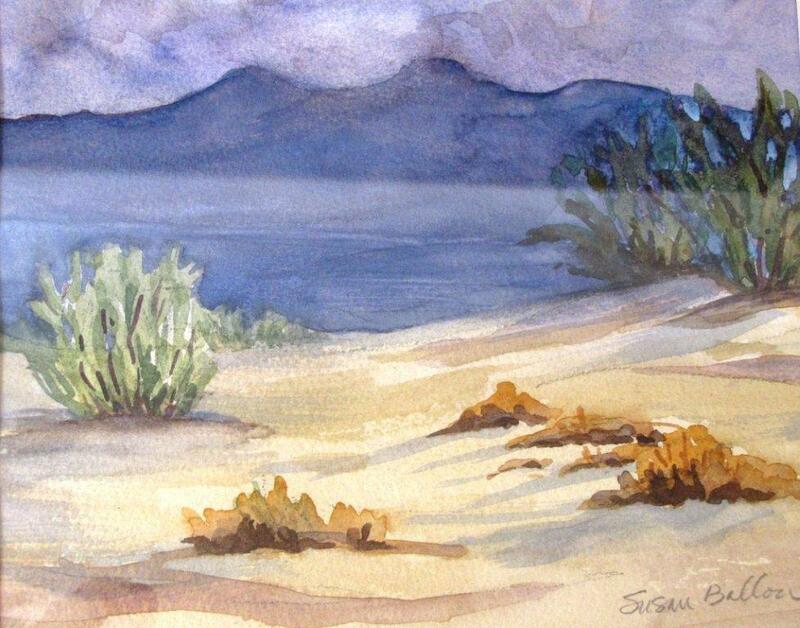 My husband and I are planning a few days to visit Death Valley for the first time during the first week of March and I had no clue where to go for views for painting and taking pictures. Your article answered so many of my questions! Please add me to your list of artists for future art retreats since this year I will be with my husband and only staying maybe 2 nights. 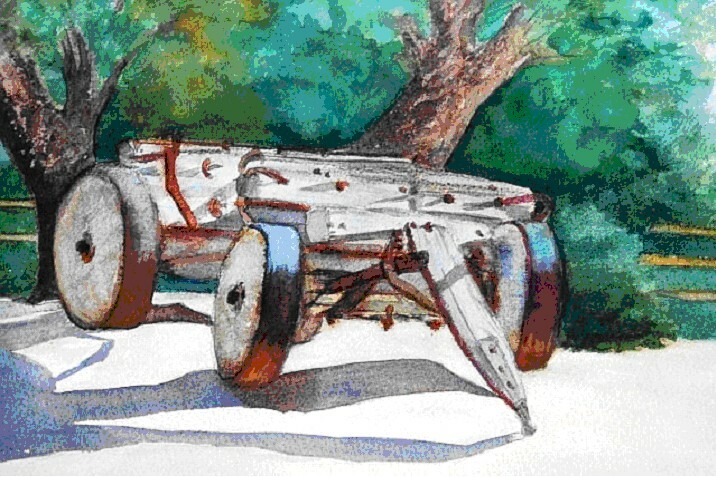 If you are ever up in the Reno/Tahoe area and want to paint – you can check out my new blog – http://renotahoepleinairpainters.blogspot.com I started this blog to try to meet other plein air artists in my area so I would be motivated and confident to go outside and paint. From Spring to late Fall I will be posting planned paint-outs with directions for anyone to join. I already have heard from a lady from North Carolina that is coming out to Lake Tahoe for a vacation and would like to paint. Thank you for your great article! It helped me to know good places to go to paint, what to bring, what time of day is best…. I have enjoyed the desert for about the last half century even though I live by the Pacific Ocean. There is so much subtle beauty and a sense of just how wondrous this planet can be. 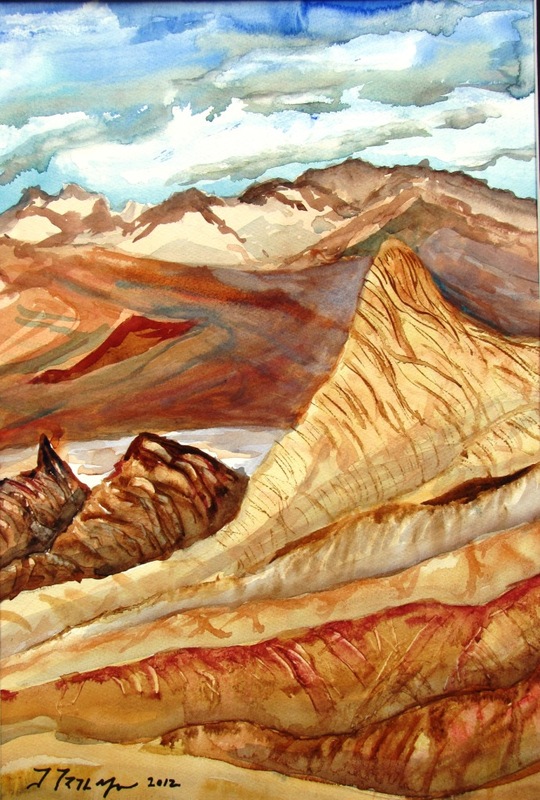 I am so delighted my friend, and art instructor, Marilyn Oropeza, sent an email with your link. Such inspiration to see how so many talented artist have interpreted their environment. There is nothing like getting out in nature and away from the studio for a fresh view of things and when one can go with other like minded friends, it is that much better.